3 1/2" square fire branded coaster laser cut from 1/8" stock material. 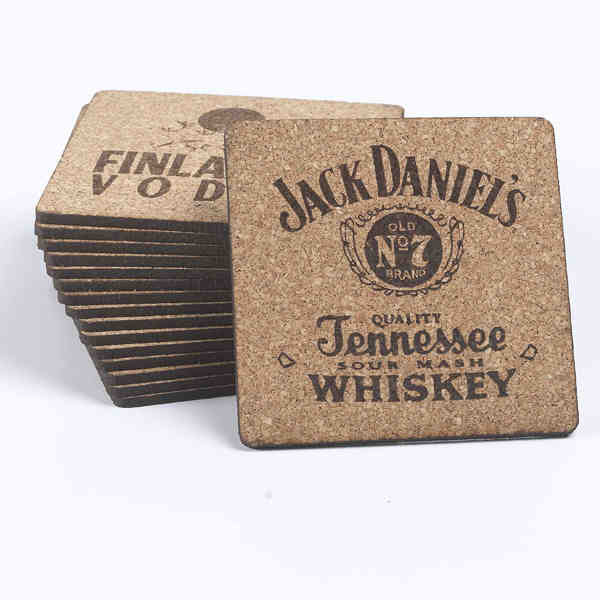 The coaster is branded and then cut to your exact specifications. This process leaves the coaster with a natural burnt smell which dissipates over time. Cork material is harvested from the outer bark of the Quercus tree in a sustainable fashion and is completely natural material. Good for food/beverage and wine industries. Branding, custom designs, state themes, gift items. Natural process. Size: 3 1/2 " x 3 1/2 "